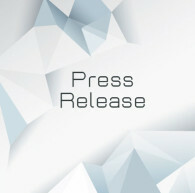 CAMPBELL, Calif., & CHICAGO–(BUSINESS WIRE)–AOptix (http://www.aoptix.com), a pioneer in ultra-high capacity wireless communications and Anova Technologies (http://www.anova-tech.com), the leading provider of dedicated low latency networks for the global trading industry, today announced the completion of an ultra-low latency wireless link connecting the BATS and NASDAQ stock exchanges. The 26 kilometer long network located in the metropolitan New Jersey region was constructed using the AOptix Intellimax ULL-3000 wireless communications product. The AOptix Intellimax family of products is based on AOptix’ Laser-Radio technology, a hybrid solution that combines advanced wireless optics with millimeter wave radio to deliver multi-gigabit performance and carrier-grade availability even in severe weather conditions. AOptix Intellimax can be installed on any tower or structure, enabling the shortest, most direct route possible and lower latency than fiber. Wireless networks in the financial services industry, such as those facilitated through the AOptix and Anova partnership, underpin the need not only for low-latency solutions that can deliver data at market speed, but also network availability in an environment where downtime can translate to lost revenue for traders. The completion of the NASDAQ-BATS link is part of an ongoing collaboration between AOptix and Anova to boost connectivity between global financial markets, with a second 55 km link slated to go live in Q3 of 2015. AOptix (www.aoptix.com) is transforming wireless communications with high-capacity Laser-Radio technology that delivers an unprecedented combination of bandwidth, availability and distance. Building on technology originally developed for deep space research and then field-validated in advanced military defense applications, AOptix created a completely new and disruptive technology to wirelessly deliver multi-gigabit capacity. Today, AOptix unlocks new market opportunities for service providers, enterprises, and government organizations, enabling connectivity for previously unserved or underserved locations, and addressing diverse applications such as mobile backhaul, fiber diversity, fiber extension, disaster recovery, and enterprise last-mile solutions. Founded in 2000, AOptix is a privately held company based in Campbell, CA. Anova Technologies is the preeminent fiber and wireless exchange connectivity provider, exclusively focused on electronic and algorithmic trading clients. With a dedicated team of engineers and physicists, Anova invented today’s millimeter wave design and deployment standards for trading networks. A champion of self-disruption, Anova continues to push the boundaries of technology for the financial markets with major new developments pending that will improve availability, capacity and round trip latency in the wireless space. Anova’s proprietary networks span all major exchanges throughout the US, Canada, Western & Eastern Europe, and South America.